Good morning! 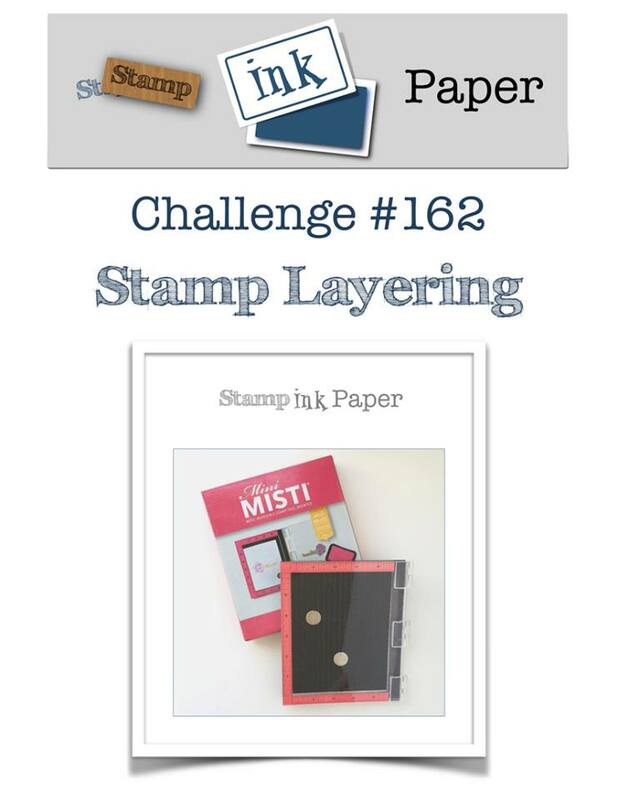 The blog over at Stamp, Ink, Paper is finally fixed, so we are back with a new challenge today! 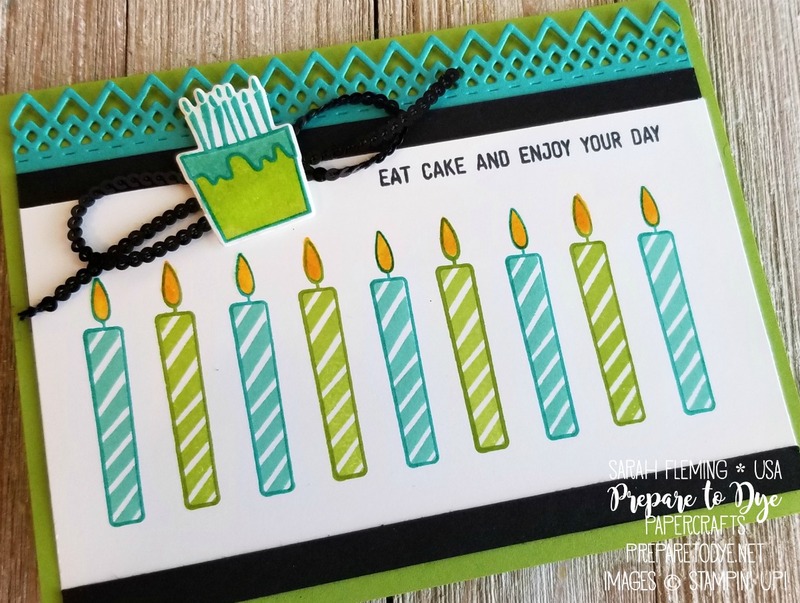 Today’s challenge is to layer stamps perfectly with your stamp positioning tool. 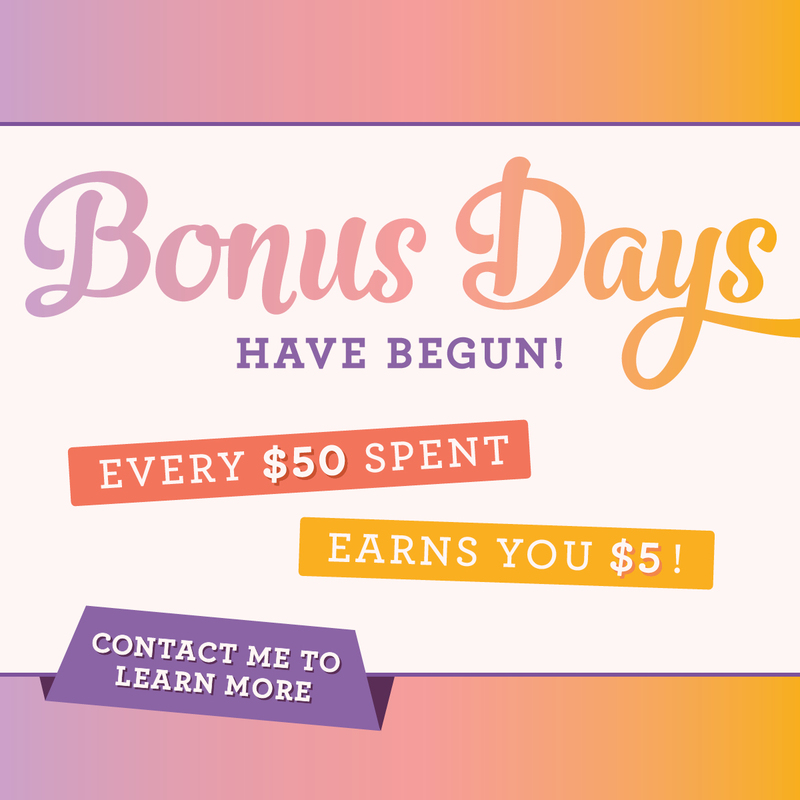 Make sure you head over to the challenge blog and check out the design team’s projects! 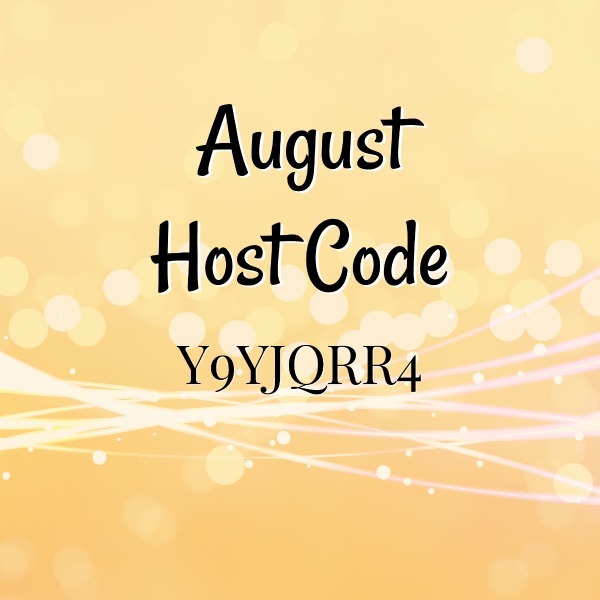 And we’d love for you to play along with the challenge! After I stamped the outlines of the Bermuda Bay candles, I stamped the stripes in Coastal Cabana. 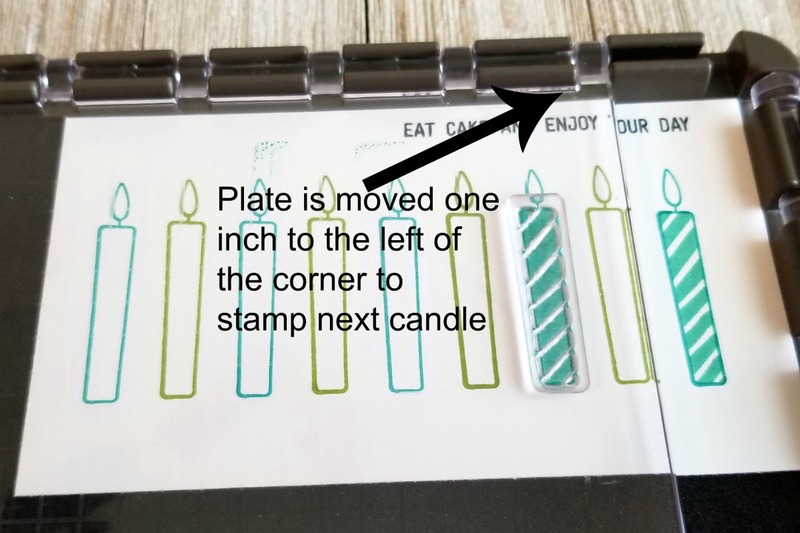 Then I moved the stamps over half an inch to stamp the green candles. Those are outlined in Granny Apple Green, and the stripes are Lemon-Lime Twist. The flames are Mango Melody. Isn’t it amazing how perfectly everything lines up? I love my Stamparatus. I used a Granny Apple Green card base, added some Basic Black cardstock strips, and added some Bermuda Bay trim that I cut with one of the dies from the Delicate Lace Edgelits. 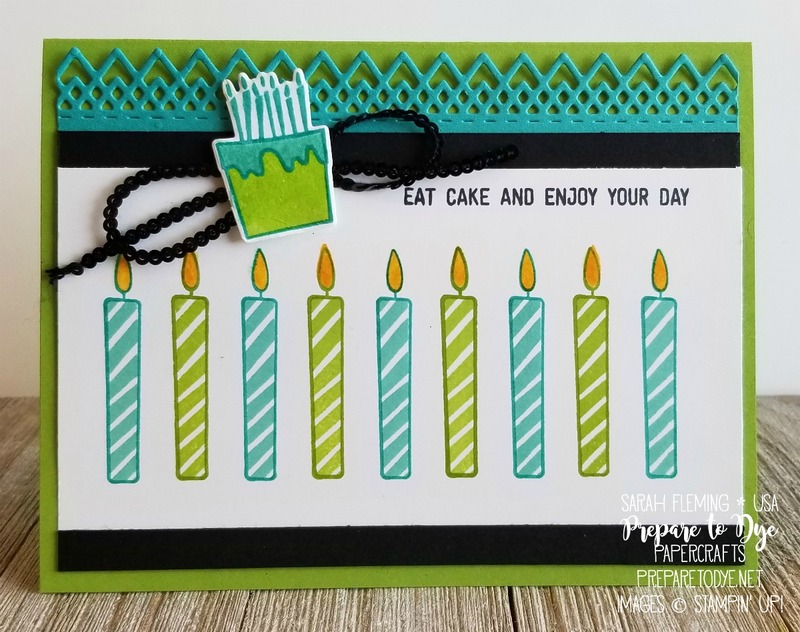 I stamped the cake in Bermuda Bay, Coastal Cabana, and Lemon-Lime Twist using the Stamparatus. I popped the cake up on Dimensionals over some Black Mini Sequin Trim. 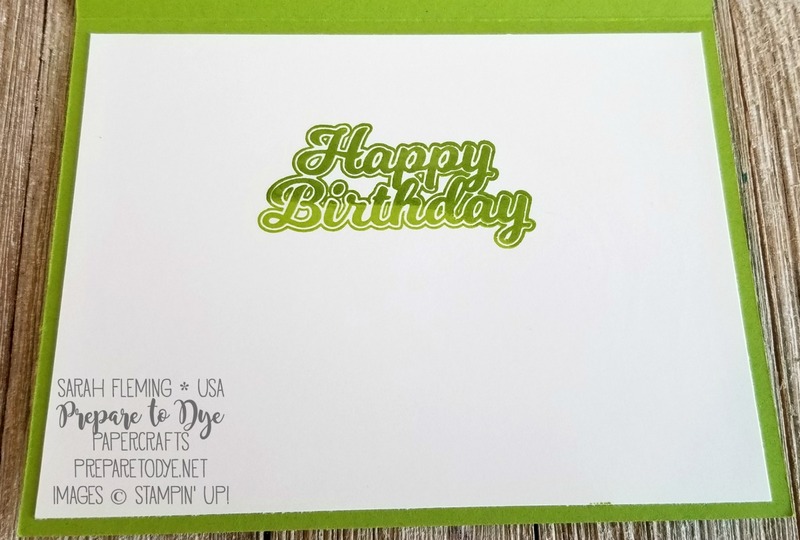 Inside the card I stamped the Happy Birthday in both Granny Apple Green and Lemon-Lime Twist.